Healthy and delicious snack, preserves summer so you can enjoy it as addition to breakfast or baked goods when summer is already long gone. 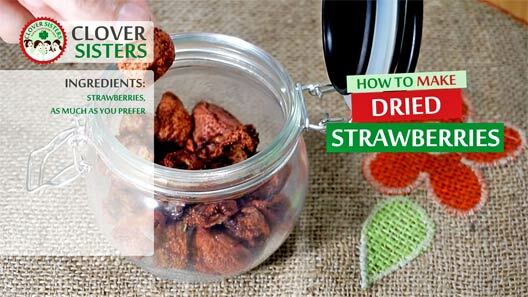 Washed and drained strawberries slice off and discard the green parts. Arrange them in the dehydrator in a way that air can circle freely. 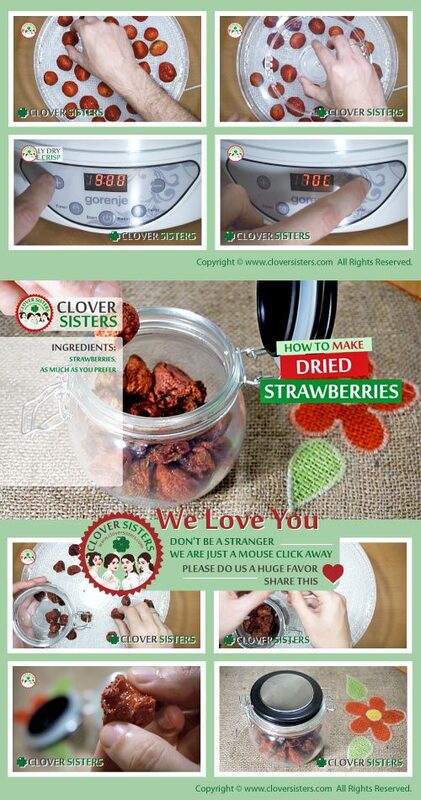 Set the dehydrator's temperature to 135 F/57 C and leave it for 8 - 10 hours for fully dry the strawberries. Or 10 - 14 hours for strawberries to be crisp rather than pliable. Cool them before using or storing.